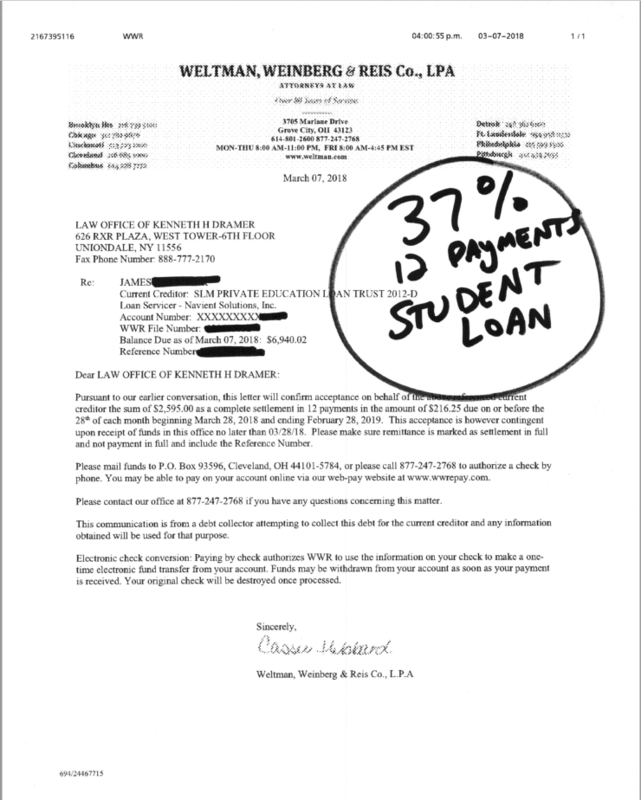 Home Page Student Loan Relief | The Law Offices of Kenneth H. Dramer, P.C. In today’s economy with the lack of job opportunities, you may be struggling to find work even to survive, let alone start to pay back what seems like an enormous amount of student loan debt. If you are struggling to pay your student loans and qualify for help, our Student Loan Debt Relief Attorneys may be able to help you to lower or postpone your payments, reduce your outstanding balance, or possibly even have your loans canceled and forgiven. At Dramer Law, we offer multiple choices depending on your hardship and current income. Some options allow for payment flexibility in case your situation changes with regards to your income or health from time to time. Many choices we will discuss are available for all types of loans while other options only apply to certain types of loans. 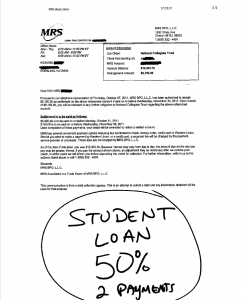 If you have fallen behind on your student loan payments you are not alone. Below are the different options we offer to help solve your mortgage loan problem. Click on the icons below to learn more about each particular option. 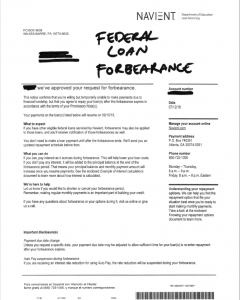 Deferment will enable you to take a break from making payments for a short period of time. 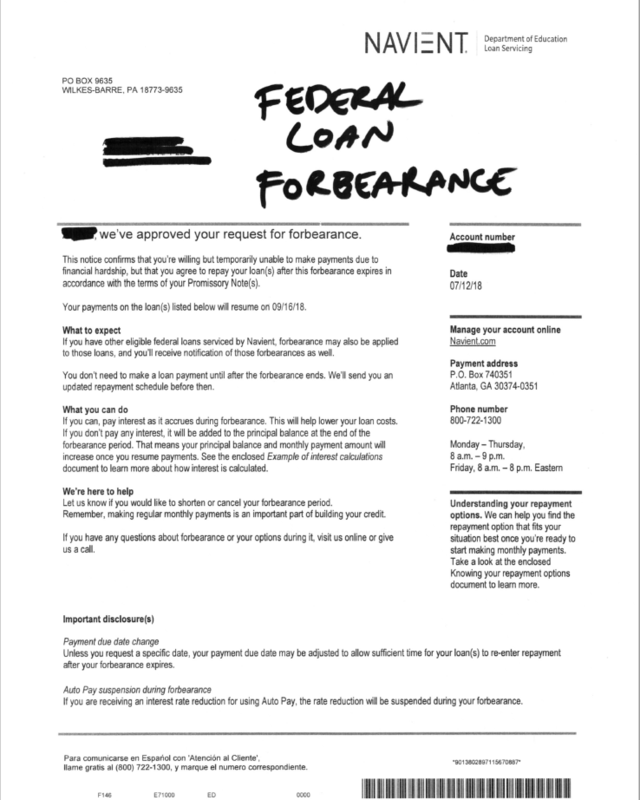 Forbearance is a great option if you need to delay your payments for a longer period of time as a result of your hardship being more long term. If you have more than one loan outstanding, with different loan servicers, different payment addresses, or different interest rates, AND you can afford the payments – a Consolidation Loan can alleviate some of the hassle and help keep you organized. If your Federal Loan is in default, we can rehabilitate the loan based on your discretionary income. After making 9 qualifying payments, we will then be able to consolidate your federal loans to ensure you have the lowest possible payment. 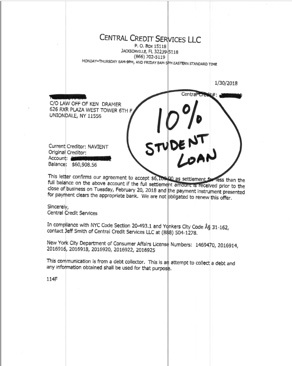 For private student loans in default on certain federal loans, if you have funds available or can borrow money, we can settle the debts for less than what you owe, saving you thousands off the outstanding balance and even much more when factoring in all the future interest that you would have paid. 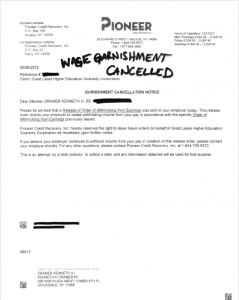 There are many ways to cancel and discharge your federal student loans. Some are school-related, job-related, disability-related, and in the case of the loan holders death. Learn more about your options and how they may apply to you. Need honest professional advice for yourself or your business? 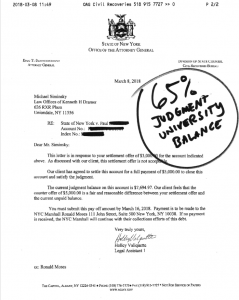 All settlements are represented as a percentage of the debt paid back. 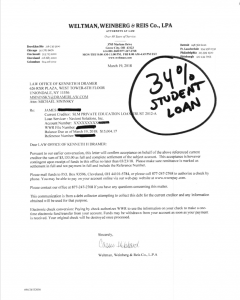 Is Your Student Loan a Private Loan or Federally Backed? All student loans are either Federally Backed or Private. 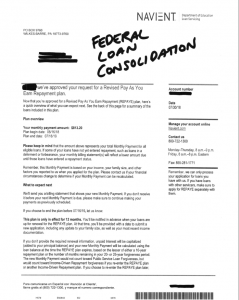 Federally backed loans can be either a loan obtained directly from the federal government or a loan issued by a non-government entity which is guaranteed by the federal government. Private Loans are loans from banks that are not guaranteed by the federal government (some schools also offer direct private loans as well). 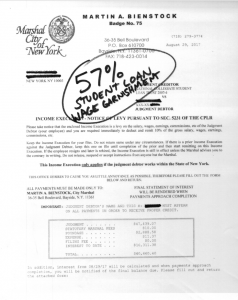 If you have a Private Loan, other than the usury laws of your state, there are no interest rate caps on private loans like there are for federally backed student loans, but there are time restrictions in which they have to enforce their collection efforts. Since the Truth in Lending Act (TILA) governs private loans, a fundamental way to tell a private loan from a Federal loan is the presence of disclosures, like you’d find on credit card, car loan, or mortgage loan statement. Privately funded loans do not typically have many repayment options available like federally backed loans, and qualification is determined on a bank-by-bank and loan-by-loan basis. On the positive side, if you are delinquent with your payments, private student loans can typically be settled for less than the current amount owed, potentially saving you thousands of dollars. Sallie Mae seems like a Federal agency, but, it is a private lender and by far the nations largest. 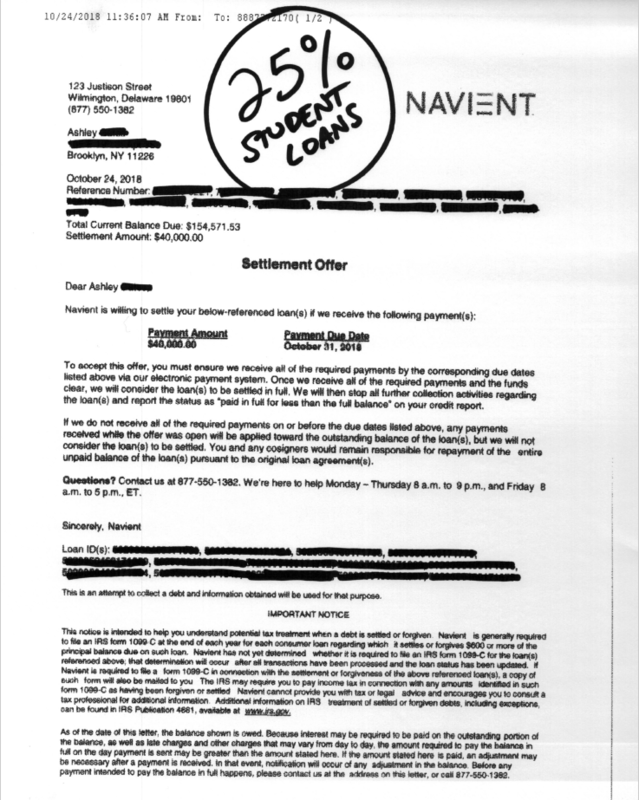 On October 13, 2014, Sallie Mae, split up into two different entities – one that handles servicing of federal loans, named Navient, and the other division remained Sallie Mae, which now strictly provides private student loans. 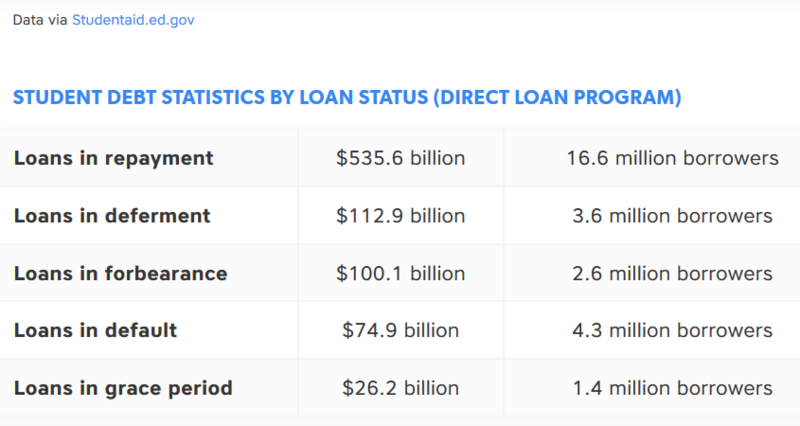 Most of the loans issued since 2010 are straight from the government through the “Direct Loan Program.” Any Direct Loan is without a doubt federally backed. Before 2010, many loans given by private lenders are still guaranteed by the federal government, making them federally backed as well. Federal loans are typically named either Direct Loans, Stafford Loans, PLUS loans, or Perkins loans. If your student loan was taken out from a private bank but is backed by the federal government, it doesn’t mean upon default that the loan will be paid off for you by the government, thus relinquishing you of your responsibility to pay. What would happen is if you default, the federal government will pay off the bank, then you would owe the money to the federal government instead. In other words – YOUR LENDER IS PROTECTED, BUT YOU ARE NOT. All this while charging substantial collections fees with no time restrictions imposed upon them! 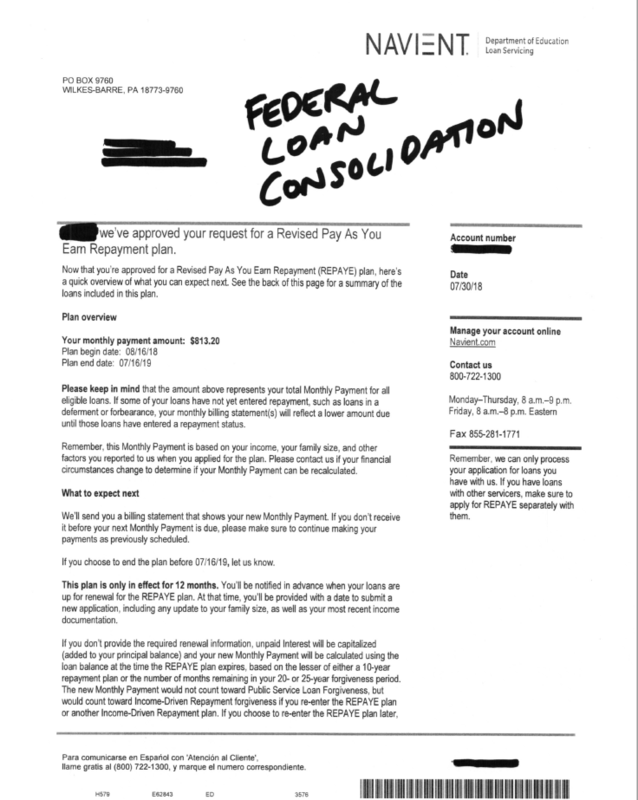 If you are struggling to pay your federally backed loans, thankfully, there are many different consolidation and relief programs available to help you. Although federally backed loans are not likely to accept a settlement for less than the amount owed, there are ways, in limited situations, to discharge federally backed loans in some instances – without filing for bankruptcy. 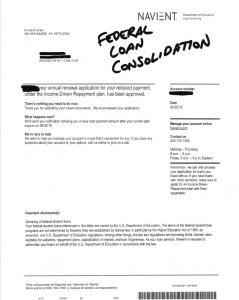 Do You Have BOTH Federally Backed & Private Loans? 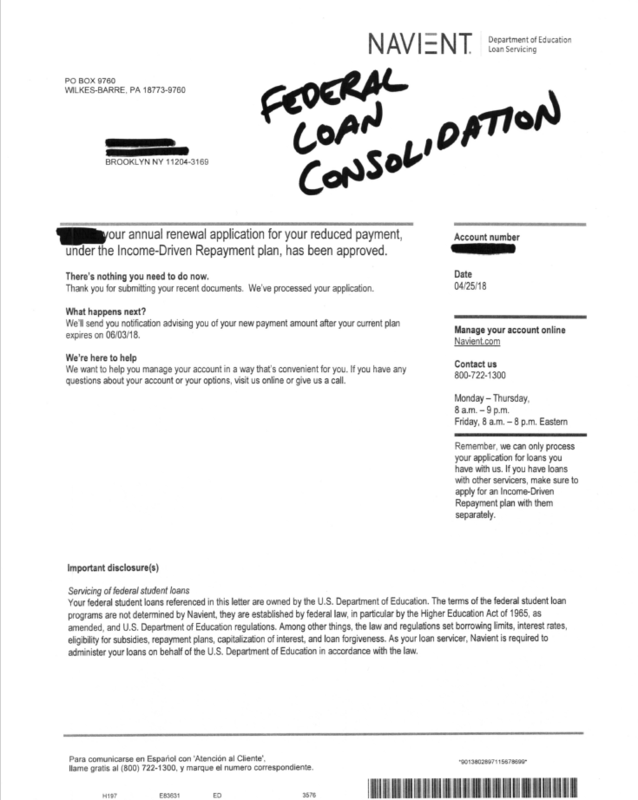 Since there are different options available for each type of loans, if you have both private and federally backed student loans, we typically advise starting to deal with the loans that are causing the most significant burden for you, but rest assured, we can help with both private and federally backed loans! One of the most critical differences in the Federally backed loans we come across is whether or not the loans were subsidized. 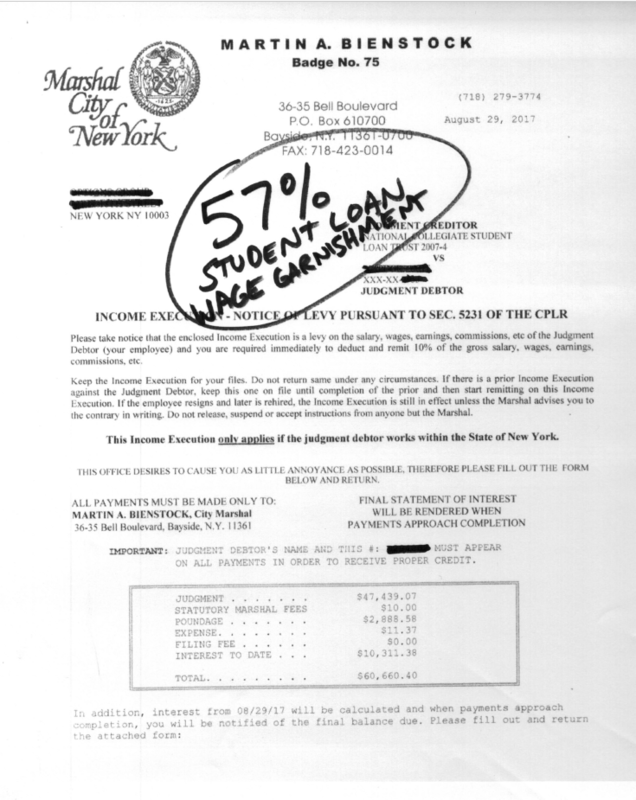 Being subsidized or not will tell you who is required to pay the loan interest while you’re in school. While you are in school or on deferment, the Federal Government pays the interest on subsidized loans, but with unsubsidized loans, you are responsible for the interest. If the loan is unsubsidized, you are not required to pay the interest, but if you do not, the interest will accumulate and be compounded or capitalized into the outstanding balance. If you can make payments while in school, you should, as doing so will help to reduce the overall total loan payback amount, as the interest will not compound on as large of a balance. Each school has a different guideline as to the enrollment status that determines if you are at least part-time (also referred to as half-time) or not. 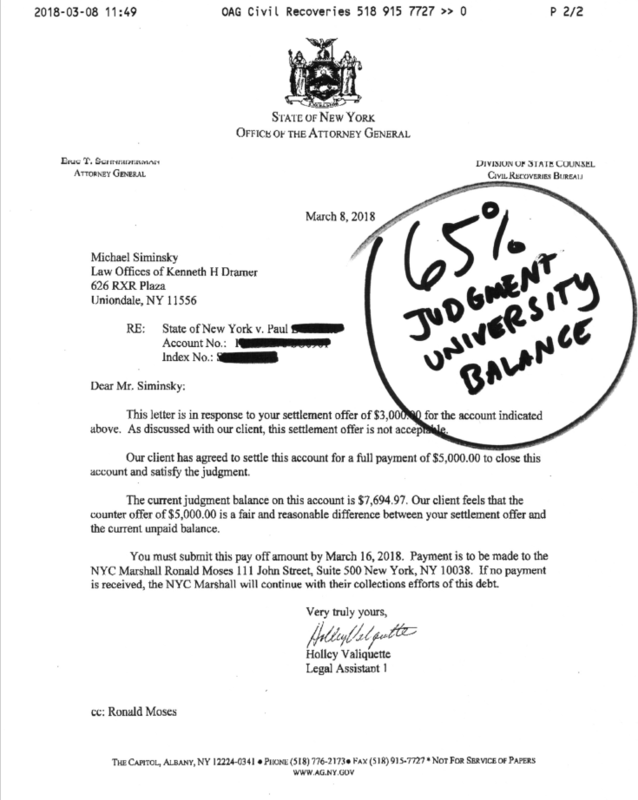 If you are no longer at least half-time status because you have either: graduated; are still attending some classes but are not enough to be considered half-time; have taken a leave of absence; or decided not to continue your schooling, then, unless your loans have been deferred, you will be required to make payments again once your grace period has come to an end. Without a plan that fits your budget, student loan debts can snowball out of control and your problems will get worse. If you are starting to struggle to make your student loan payments or have already fallen behind, don’t risk your future. If you do nothing about your problems, they will not go away but will instead get worse. You’ll be forced to deal with lawsuits, frozen bank accounts, wage garnishments, and.seized tax returns! With any of our student loan debt relief options, you will have the final say as to whether or not you want to accept anything we’ve negotiated. If you have a loan in need negotiation or a lawsuit in need of defense – we are the law firm that can do it for you! Helping You Save Your Time and Your Money! We can renegotiate the terms of your existing student loan agreements to conditions that are more affordable. We can lower your monthly payments, lower your interest rates, reduce past due fees and penalties, reduce the outstanding principal balance, and can even discharge your loan entirely through bankruptcy if you qualify. 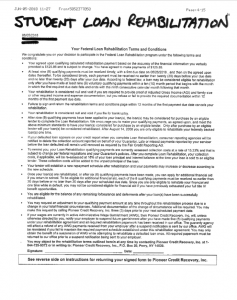 Our Student Loan Relief Attorneys have the experience and are fully capable of helping. We’ll deal with your lender for you to attain more beneficial terms and are fully committed to helping save you money! We’re Confident We’ll Fit Your Student Loan Needs. By negotiating the repayment of any past due amounts, you’ll be able to get back up to date with your payments and be able to continue making payments going forward without the fear of a wage garnishment. With the help of lower interest rates, paying off your student loans will take less time, cost you less money. You’ll save thousands of dollars over the length of your loan payments. We can help make your bills fit your budget and help you to free up money each month to pay for other goods and services you may need. With certain services we offer, we can lower your interest rates, reduce your balances, and even wipe out your debts completely. You’ll be able to get out from under your student loans in a fraction of the time you would have on your own. Our student loan debt settlement services can help negotiate your principal account balance to a lesser amount than what you owe saving you thousands and making the loan much easier to pay off. With either our cancellation or bankruptcy services, we may be able to completely relieve you of your obligation to pay your student loans. Once we evaluate your needs, we would determine which process or combination of options would work best for your situation. We discuss the benefits and drawbacks of each relief option in depth including any possible remedies that may be available to your lender with specific choices. Once retained, we immediately contact your lender, their servicer, or attorney to let them know of our representation and request all calls and correspondence be directed towards our office rather than to you. This way you’ll spend less time dealing with or hiding from anyone trying to collect from you and can get back to running your life. Once we take over the collection activity, we inform your lender of your situation and, depending on which process you retain us for, will begin to negotiate on your behalf to either lower your rates, extend the terms of your current agreements, reduce your mortgage down to less than what you owe, or try to cancel or discharge the loans. Sometimes we need to get right down to negotiations and while others we need to stall to buy time for you to accumulate funds to use for later on. Sometimes we can negotiate politely and others we need to play hardball. We know which tactics work and which ones don’t. We know when to call, who to call, what to say, and more importantly what not to say…all to save you as much money as possible! Once we are satisfied with a potential negotiated offer, we contact you to discuss the terms and conditions. All of our negotiation options, except for Chapter 7 or 11 Bankruptcy, offer you complete control and the final say as to whether or not you want to accept. Only if you want to accept the offer will all details be obtained in writing and reviewed by a lawyer to make sure that the terms of the release are drafted properly. If so, it would be sent to you with step by step instructions to ensure the arrangement is paid off properly. 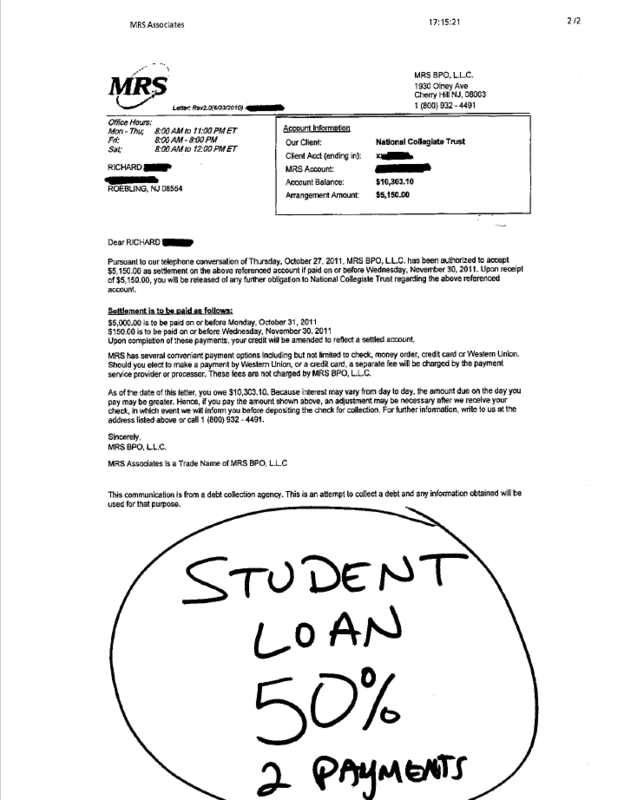 We have successfully defended many clients and were able successfully and permanently resolve their student loan issues. It is always best to deal with a lawsuit as soon as you are aware of it. Depending on where you live, you have only 20-35 days to file a written answer with the courts. Unless you have done this numerous times on your own in the past, this is something you should not use trial and error with, as there is little room for error. One of our experienced lawyers will become your “Attorney of Record” and will file an answer for you to ensure your defenses are adequately raised. We will keep up to date with anything going on so you will not miss a beat. Even if you were sued a long time ago and are now wanting to take action, we can help. If a judgment has been entered against you, and even if you there is a sale date set just around the corner – we can still help. We can file an “Order to Show Cause” on your behalf to and buy us time to review for any violations, file appeals, apply for repayment, etc. If Your Loan Is Being Serviced by a Third-Party there may have been violations of the Fair Debt Collection Practices Act (FDCPA) which can lead to lawsuits in your favor. Any violations by your loan servicer can lead to you winning up to $1000 per violation. 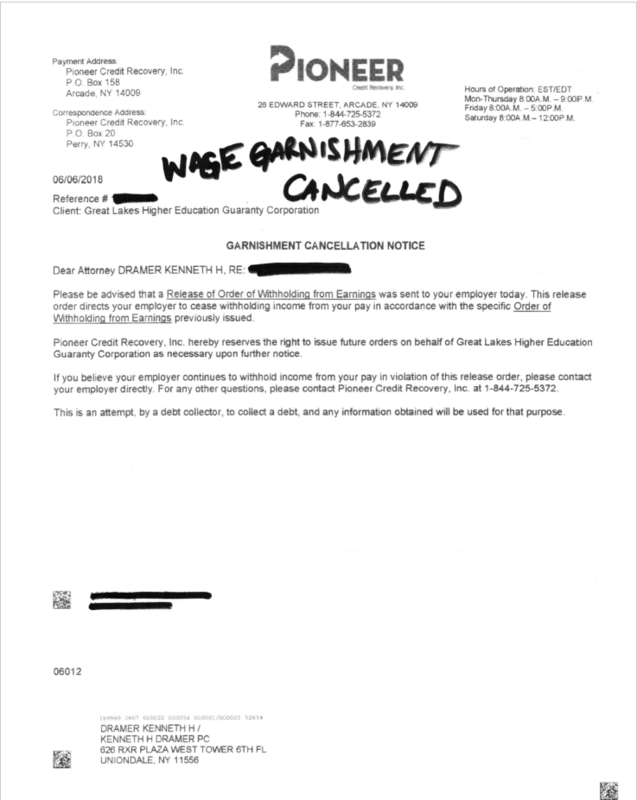 A Student Loan Attorney that also handles FDCPA law will know how to spot these violations and will be able to help put money in your pocket. 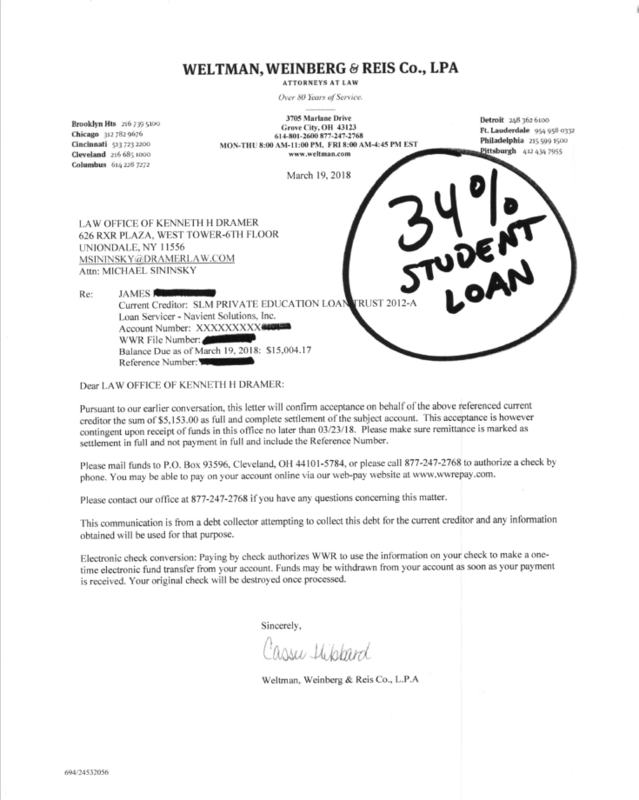 Being that we are debt attorneys, if all else fails, we can even help file for bankruptcy to try to fix your student loan problems. We will do whatever it takes to assist you in these difficult times! 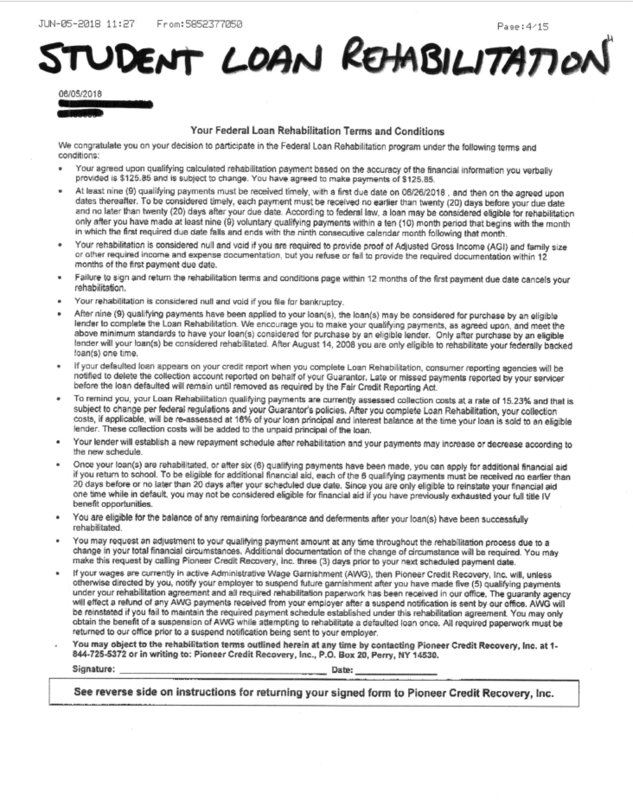 Why Choose Dramer Law for Mortgage Relief Needs? 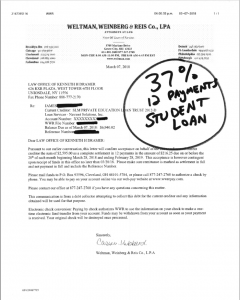 Other companies and law firms offer student loan debt relief – we specialize in it! We do not offer any services that aren’t strictly related with clients that are struggling financially so our clients have unique needs, compared to those of other law firms, that we can cater to. We offer all debt relief options and we service our clients like family. You should never settle for less than the best! Since our clients don’t have tons of money to spare like attorneys that practice in other areas of law, we charge low fees making our services affordable for anybody that needs help. Unless your case involves one of our attorneys having to go to court, our negotiation service fees are flat fee or performance based – not charged hourly. All of our attorneys, negotiators, and paralegals are all dedicated to providing the best possible experience while achieving results. We are available long hours but should we happen to be unavailable for any reason we pride ourselves on returning calls and emails right away, not several days later like most attorneys. Many companies do nothing for the high fees they charge. We have heard many horror stories. These companies aren’t proactive; they put no effort into negotiations, they don’t even return calls from you let alone your lenders, their servicers, or attorneys. These actions cause lenders to seek other measures to collect, often meaning lawsuits. We typically repeatedly work with the same companies and are known for resolving accounts so, therefore, have an excellent reputation with industry creditors and collectors. Our reputation benefits you when we contact them on your behalf, as they know the problems will get resolved and since we work quickly we are usually able to avoid legal action! Many times, our student loan relief clients need assistance with other areas of their financial lives. We offer various other services to help with credit card debts, collection accounts, mortgage problems, and taxes. When debt is the problem – we are the answer! *Individual results may vary based on consumer’s earnings, assets, and current financial situation. Our law firm does not assume or pay any clients’ loans, nor provide credit or tax advice concerning any forgiven amounts. 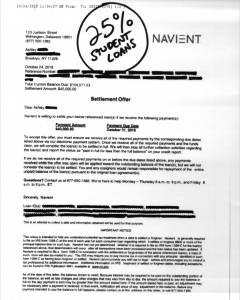 Student loan relief options do not obtain immediate repayment arrangements. Services not available in all 50 states. *Be wary of any company that tells you not to pay your bills as specific debt relief options may have a negative impact on your credit report and other consequences. For example, your debts may continue to accrue late fees and penalties; you also may receive calls from your creditors and/or debt collectors; you could even be sued for non-payment. If a creditor obtains a judgment against you, they have the right to garnish your wages or put a lien on your home. Make sure you choose company that explains the benefits and consequences of each debt relief option. Please read and understand all process terms before enrollment.